Reportedly, K'taka DGP released the circular to withdraw cases against minorities involved in communal riots in the last 5 years. 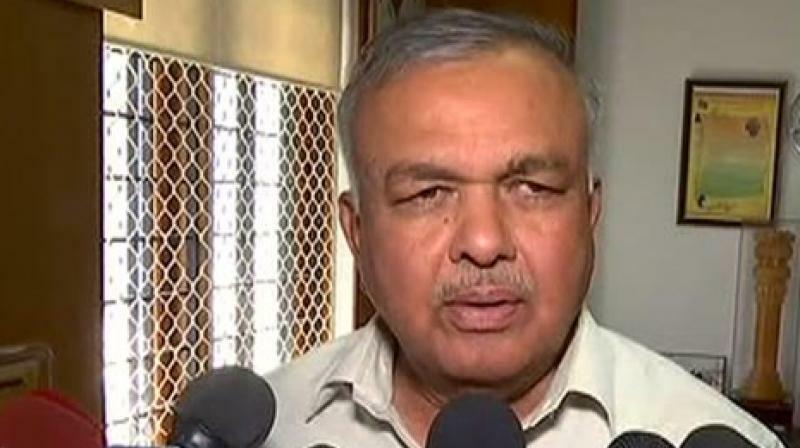 Bengaluru: Karnataka Minister Ramalinga Reddy on Saturday lashed out at the Bharatiya Janata Party (BJP) on the creating a fuss over minorities circular matter. A circular was reportedly sent to heads of police in all districts from the, asking for their opinion on revoking cases against minority communities in incidents of communal clashes. The minister rebuffed the reports and said that it was not a circular but only a reminder. "The BJP doesn't understand English properly. It's not circular, just a reminder. Minority leaders represented that some false cases registered against minorities. IG sent letter to SPs, gave reminder that's all," Ramalinga Reddy said. Reportedly, Karnataka Director General of Police Neelamani N Raju released the circular to withdraw cases against people, who belonged to minority community and were allegedly involved in the communal riots in the last five years. The move comes ahead of the assembly elections in the state that are due for April or May. Currently, the Siddaramaiah-led Congress government is at the helm.